The new research is published today (14 January) by Royal Society University Research Fellow Dr. Grant M. Kennedy of the University of Warwick's Department of Physics and Centre for Exoplanets and Habitability in Nature Astronomy in a paper entitled "A circumbinary protoplanetary disc in a polar configuration". "Rules? We don;t need no stinkin' rules!" Just drunken deities gleefully making it all up as they stagger along. Flinging chaos across the cosmos. The very definition of the Stochastic Process. Again, make measurements or wake up from a deep sleep. The axis of rotation of the stars can be laid as well as the axes of some planets (Uranian axial tilt of 97.77 °). If the stars rotate around the common center, the planets can rotate toward the axis. The gas disk or the asteroid belt are in the plane of the equator of the common center. 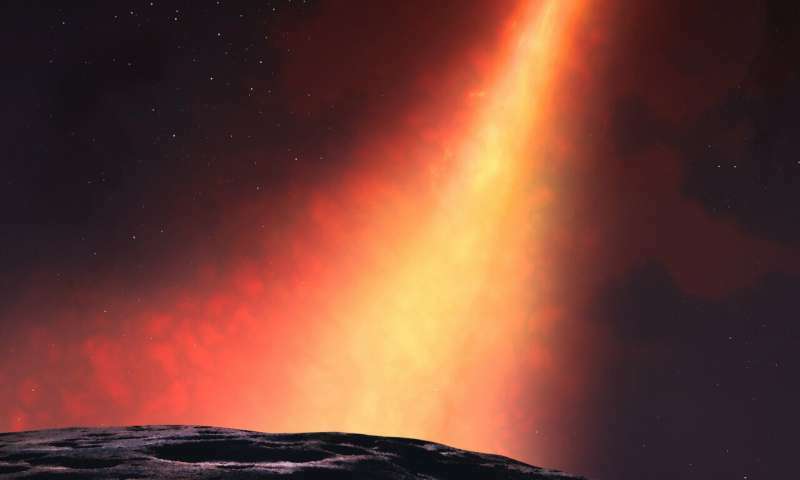 Around 900 stars with asteroid belts or disks around them have been discovered until this time; some of the most famous are Beta Pictoris , 51 Ophiuchi, Tau Ceti, Fomalhaut, Epsilon Eridani, Zeta Leporis, Vega, the Sun, …).. I'd love to see the sun path diagrams for hypothetical planets in that system. Imagine a small moon in polar orbit around a gas giant that is orbiting this pair of stars. It's whack. 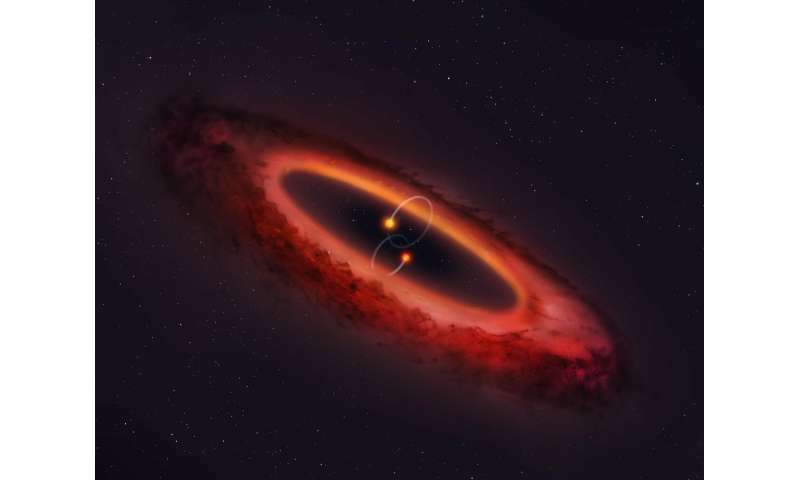 ".. two more stars were seen orbiting that disc.."
What plane(s) are they in compared to the disk and central binary ?? If relativity predicts it, eventually we'll see it. Meanwhile, ALMA keeps finding cool stuff. I have a bookmark for their site.